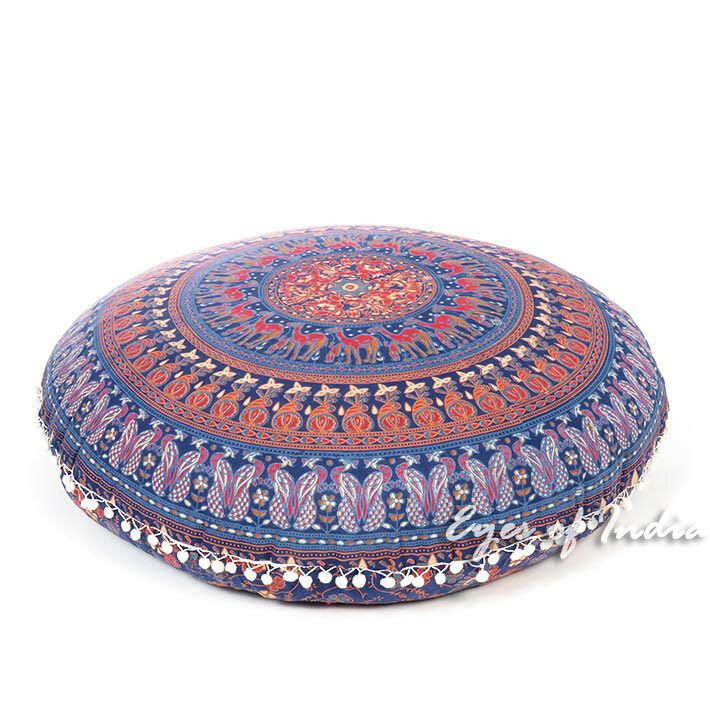 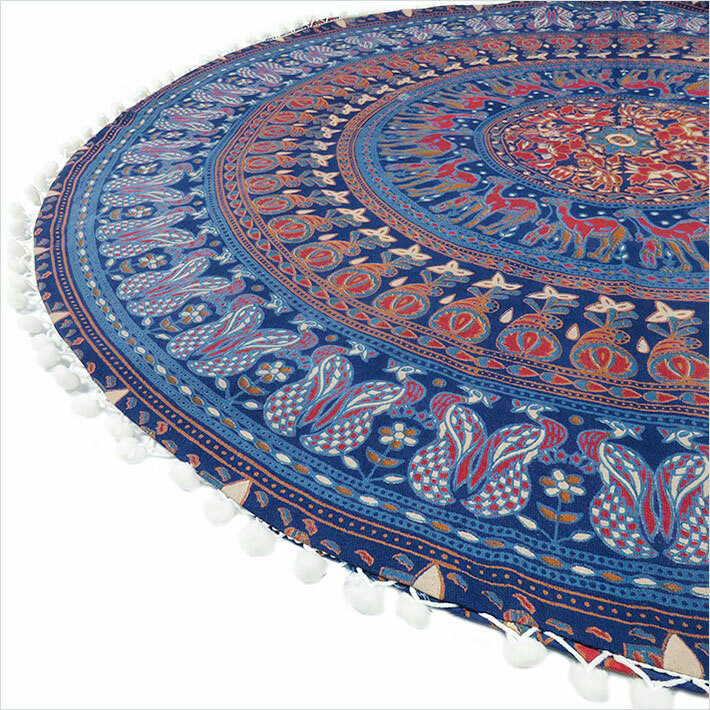 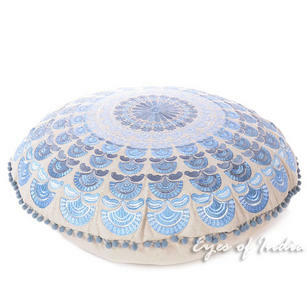 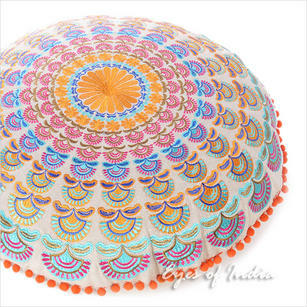 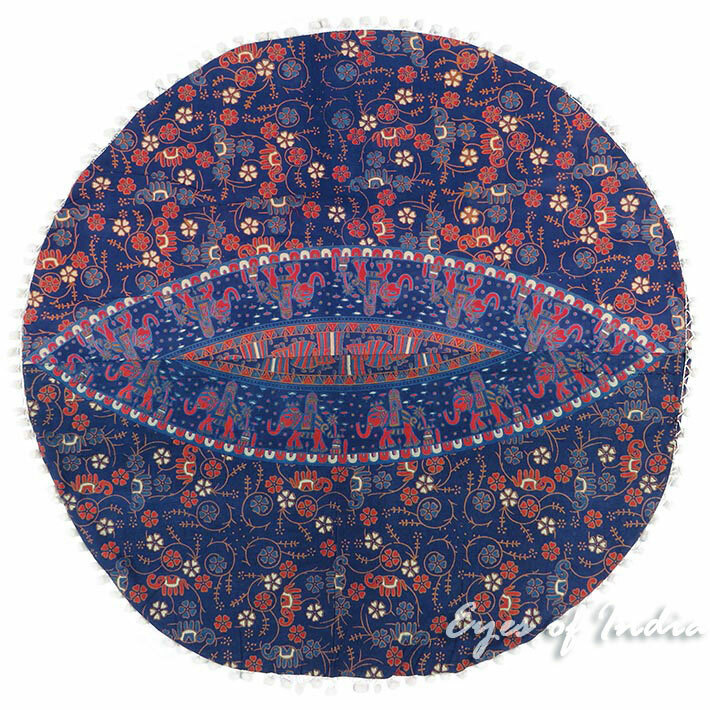 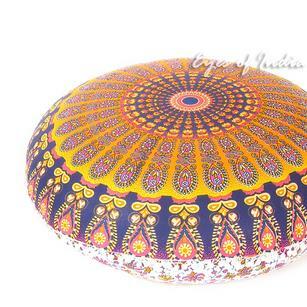 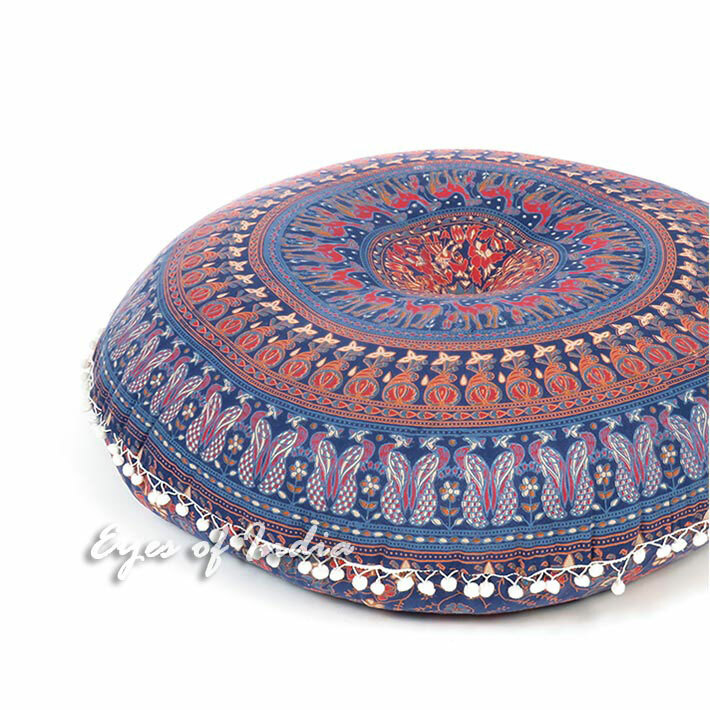 | Round Floor Pillow Mandala Bohemain Cover - 32"
Round Floor Pillow Mandala Bohemain Cover - 32"
This beautiful screen printed floor pillow is the perfect way to add extra seating that’s fun and funky. 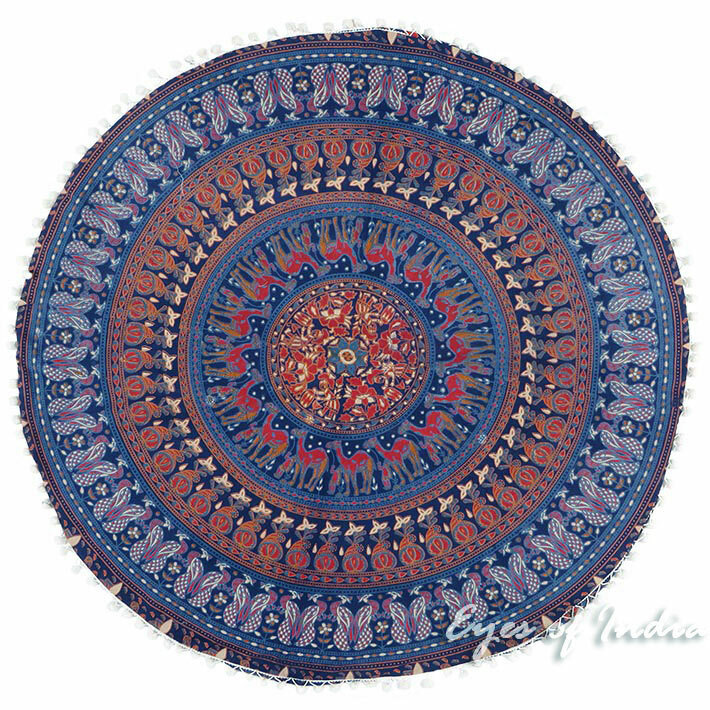 Handmade by artisans in Sanganer, this bohemian style floor pillow is made from the mandala and medallion inspired tapestries that we also carry. 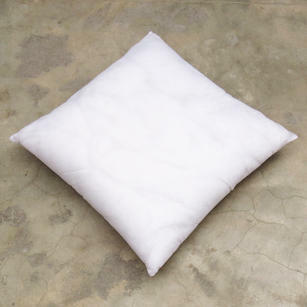 You will receive this product unfilled, for easier shipping. 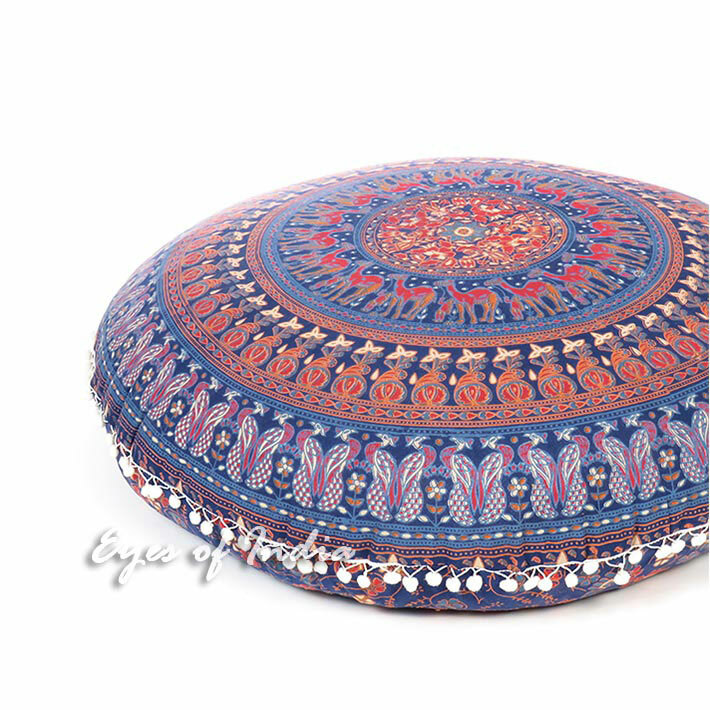 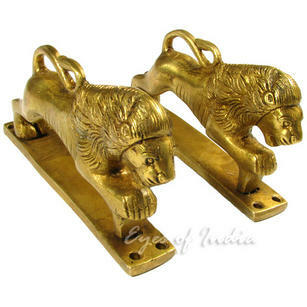 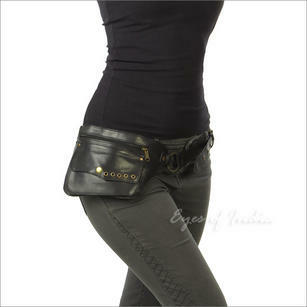 You can easily fill it with fabric scraps or any filler material of your choice. 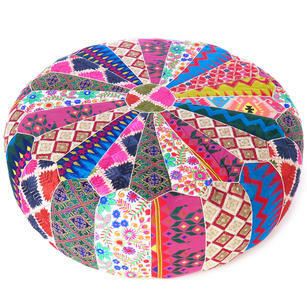 Toss a few pieces around to add more seating to any space, from the formal living quarters to your entertainment room. 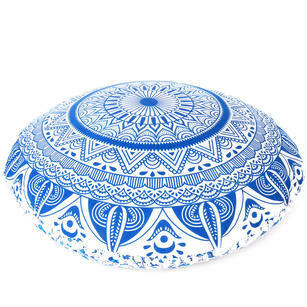 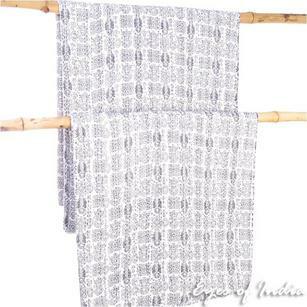 Easily fill from bottom opening with polyfiber or polystyrene (used in bean bags), cotton, scraps of fabric; or pillow inserts can be bought online. 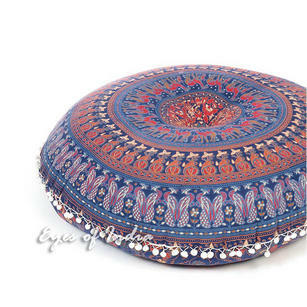 Colorful Boho Mandala Bohemian Round Floor Seating Meditation Pillow Hippie Cushion Throw Cover - 32"
Blue Silver Round Embroidered Mandala Colorful Floor Seating Meditation Cushion Pillow Cover - 24"
Oversized Large Mandala Square Colorful Floor Pillow Pouf Dog Bed Meditation Cushion Seating Cover - 35"
Mandala Oversized Large Square Floor Pillow Pouf Dog Bed Seating Boho Meditation Cushion Cover - 35"
Mandala Hippie Round Colorful Floor Seating Meditation Pillow Cushion Cover - 32"
Oversized Large Bohemian Mandala Square Colorful Floor Meditation Pillow Cushion Pouf Dog Bed Cover - 35"
Orange Purple Round Embroidered Mandala Floor Meditation Cushion Pillow Seating Throw Cover - 24"
Colorful Mandala Bohemian Hippie Round Floor Seating Meditation Pillow Cushion Cover Mandala Throw- 32"
Decorative Seating Boho Mandala Bohemian Round Floor Cushion Dog Bed Throw Meditation Pillow Cover - 32"
Blue Red Floor Pillow Cushion Cover Seating Round Colorful Decorative Mandala Sofa Meditation Throw - 32"
Blue Boho Mandala Decorative Seating Round Floor Meditation Cushion Throw Pillow Throw Cover - 32"
Large Blue Oversized Blue Mandala Square Colorful Floor Pillow Cover Pouf Meditation Cushion - 35"
Square Insert Filler Filling Stuffing for Cushion Floor Pillow - 16", 20", 24"
White Bohemian Round Floor Seating Meditation Pillow Boho Cushion Cover Hippie Mandala Style Throw - 32"
Decorative Seating Boho Round Colorful Floor Pillow Meditation Cushion Cover Hippie Mandala - 32"